Until recently, mental health was a like a stranger to me, I knew it was “something”, but I never paid much attention to it because it never really felt like something I could relate to. However, things change, and so does life… And with time (I wish I knew all this 15 years ago), I realised that a healthy body doesn’t get very far without a healthy mind. So a couple years ago, after going through several major life changes in a very short time (health, work, relationship, moving to a different country… you name it! ), I felt like my entire world was falling apart and I was no longer in control of my body or even my emotions, I lost my balance. It’s a very difficult place to be in, especially because it becomes a vicious circle. You find yourself trying to do a 1,001 different tasks, running everywhere, skipping meals, not sleeping because you are too stressed, worried or overthinking everything. Then you’re not exercising because you’re obviously too tired from of all the work you’ve been trying to do and haven’t been able to complete, all the food you haven’t eaten and all the hours you haven’t sleep… That’s when you burn out. You are emotionally and physically exhausted. It wasn’t until I started paying attention to what was going on underneath the surface that I was actually able to understand the problem and started taking actions to fix it. -You see, being young gave me a sense of invincibility, and even though it is a great thing to have when you are chasing goals and feel like you are the actual queen of the world, at some point your body will ask you to slow down. You’d be surprised about how basic the human body is and how very simple changes can transform your life. Being able to stop and take time is vital to recharge both physical and mental energy. Never feel guilty about taking time for yourself, whether it’s a spa day, a night out with friends, learning something new, whatever makes you happy and feeds your soul; it will make a huge difference in your life. Yoga and Meditation - Starting yoga and meditation is probably one of the most important things I’ve done for my health, I had very little expectations, but I could notice the changes immediately. It helps to keep me calm and grounded, to have more clarity and approach life from a very different perspective, but most importantly, it has allowed me to be more fully present, inspired and connected to the deeper world around me. Sleep - For me one of the key elements for healthy brain function and emotional wellbeing as well as physical health. If for whatever reason I’m not able to sleep, the next day I’m tired, moody and with zero mental agility, I’m literally a zombie. Sleeping, not only helps you to recharge batteries, but also plays a very important role in your overall health. While we sleep the body heals damaged cells, boosts our immune system, recovers from the day’s activities and recharges the heart and cardiovascular system for the next day. Eat - This is probably my favourite, but for some reason, during hectic periods, the first thing I forget about. And again, it’s a vicious circle, if I don’t eat well my energy is low, I can’t focus and of course I’m in a very (very) bad mood. I'm very careful about what I eat and I pride myself on having a very healthy diet, that’s why I start the day with a ginger shot to clean and boost my system, and during the day I try to keep my meals as clean as possible (*on weekends some conditions may apply). 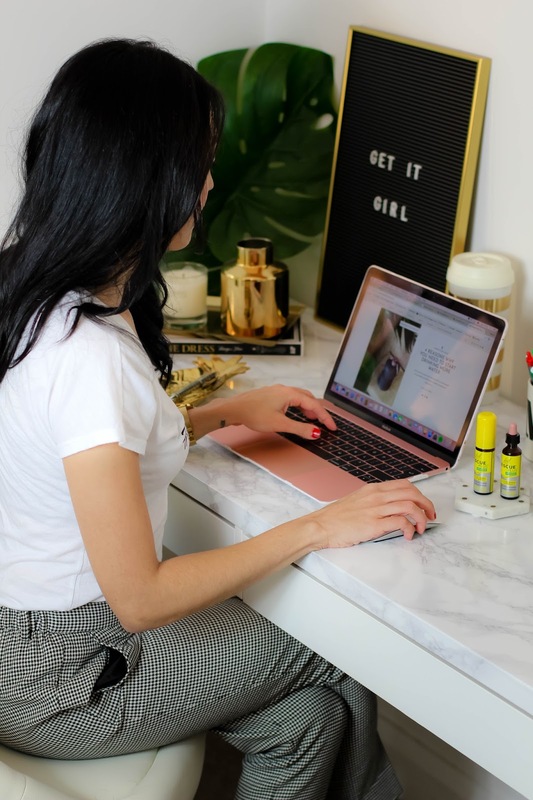 Something I’ve found especially helpful (and this applies to every day of the week) since I started using it, is RESCUE Plus, a natural solution made of B5 and B12 vitamins which supports mental performance and helps to maintain normal psychological function. 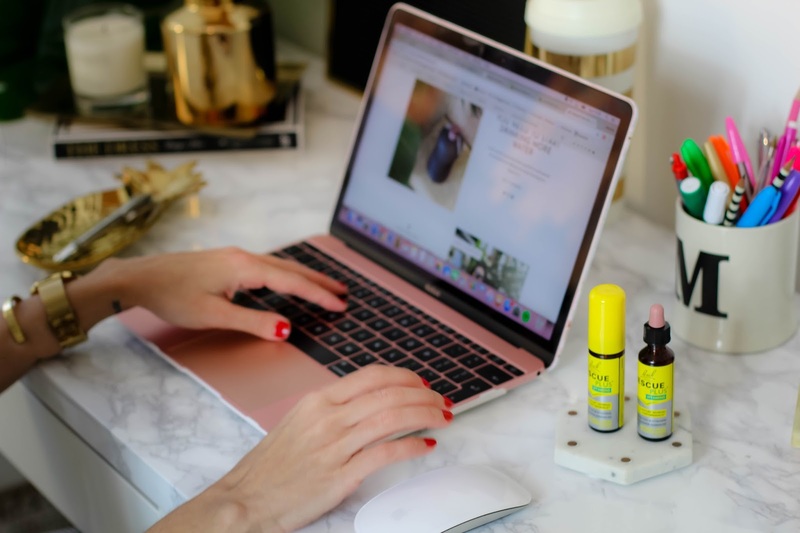 I normally keep the spray in my handbag and the dropper at home so I can have it with my drinks (the lemon and elderflower taste is delicious). I love the fact that is completely natural and what it does is basically giving my body what it needs to boost its performance. During those hectic days when it seems like I won’t be able to cope with life, this little bottle comes to my rescue. 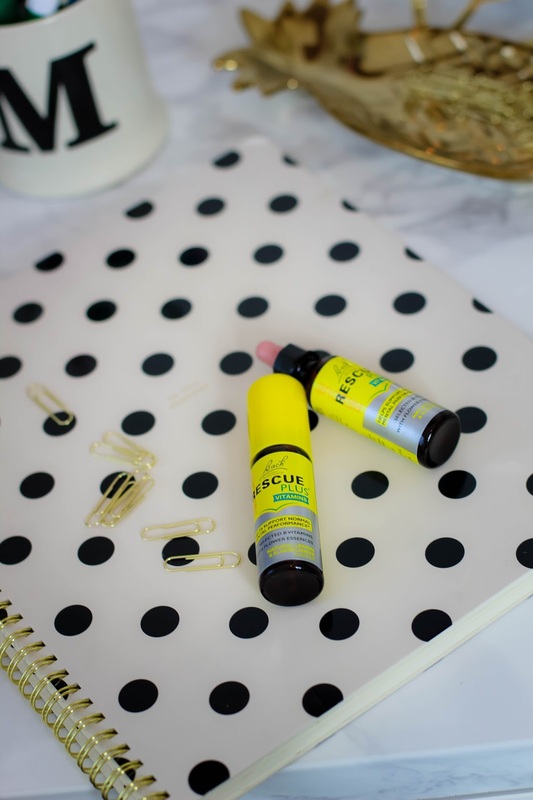 -RESCUE Plus is available exclusively at Boots. Move - You don’t have to become a triathlete, just keep the movement going. Whatever works for you; dance, run, walk, swim, cycle, clean the house, run after your kids, it doesn’t matter. Just don’t become a coach potato. Get a Hobby - This will keep your mind busy and you’ll have something to look forward to, something that excites you and helps you take your mind away from problems and daily life situations. In my case I love writing (I’m sure you can tell by now), making candles, creating lotions and potions, cooking, DIY stuff at home. 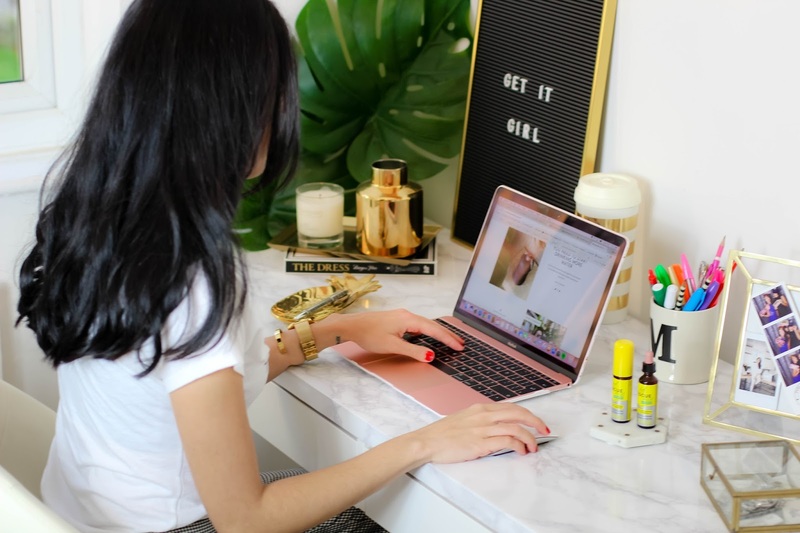 Go offline - In the age we live in, there’s nothing more detoxifying than disconnecting from the online world to live the actual moment; disconnect to reconnect. For us, The Millennials, this can be quite difficult to do as it seems like the phone has been incorporated to our body, but trust me, you’ll never feel more free and peaceful in your life. I hope you have enjoyed this post and found some useful information on it. I look forward to hear your thoughts. I bet we all can feel a bit overwhelmed sometimes with work, marriage, kids and so on and sometimes we just get stuck in our usual routine that we forget the importance of listening to our body and mind. Mental health I think is much more important than a healthy body because it keeps you motivated and happy. I definitely relate to this post so thank you for sharing. I know many that suffer from mental health issues and one whom just last night ended her life. I never understood it when I was younger. I didn't have an easy life and but still rose (by God grace) from what I was handed. I just didn't understand how someone could be in that place having a good life or not. Those thoughts were definitely lack of wisdom and understanding. I think it's easy to feel invincible when we are young but I turned 25 and something change to how I process stress. The past three years I've been so incredibly busy that I don't stop to process my stress in the proper way and then end up feeling burt out! Now it's absolutely vital that I am mindful about where I am physically and mentally! You are so right in that the smallest changes can affect you. Also, love that you included the vitamins! I notice a substantial difference when I'm not taking the right supplements. Thank you for sharing! This post is so essential! It is very important to make sure that you take care of yourself- inside and out. I find that I do my best work when I am happy and energized. I love that you cover everything you should do in this article. This is definitely a helpful reminder to focus on yourself. This is a helpuf and informative post! These products sounds perfect, I have bought some products from this brand, I don't remember which one, I think some drops to feel relaxing or to reduce stress. I will check these ones because they are essentials for me to keep a healthy lifestyle despite the daily rush of being a working mom. So it's exactly what I need to support my mental and physical well-being. Staying healthy is definitely part of my beauty regimen and helps me live Iife to the fullest. OMG Girl, I have just recently posted a post on my blog regarding how to stay mentally fit!! What a coincident. I personally think mental fitness is so important nowadays given that everyone always have a busy life and without being mentally fit, our energy level will just not be the same. You made such a good point on getting enough sleep and eat healthy!! I should totally add those to my post! Such a great post! I love your honesty. I've been struggling recently and it's so easy to lose yourself. Some days I just push myself to put one foot in front of the other to get through the day. And while I may know what I need to do - it's not always so easy to do it. All of these things are so necessary. They're great daily reminders. 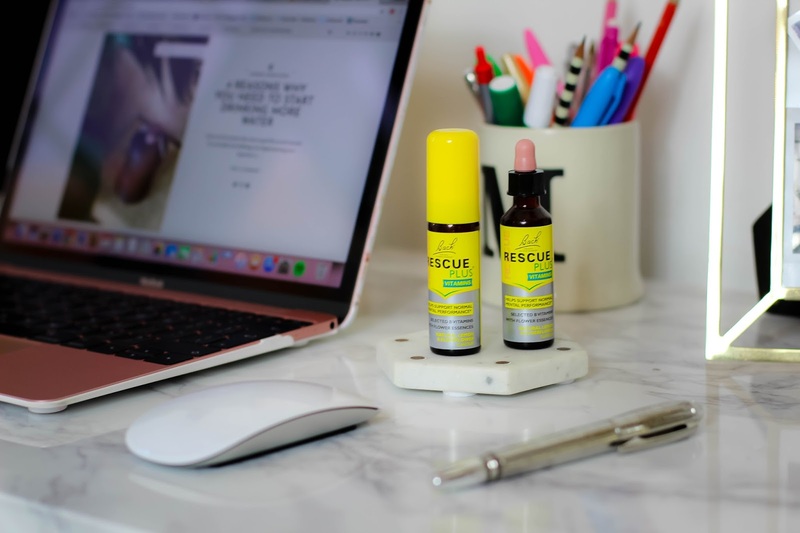 I've actually never heard of Rescue Remedy until now. I do think meditation is a great way to clear your mind and be more present with how you're feeling and what you're thinking. I always feel more refreshed after a session. Thanks for sharing! This is so true babe!! We always ending up doing many things and sometime our body and mind need a break. I remember when I use to work for RL I had such a busy work that I only did one meal a day and was terrible. Been able to disconnect, eat well and even exercizing is so vital and good for your mental health. Thanks for sharing this great post! It is very important to take care of yourself. I try to listen my body when I need a break. Even traveling can be exhausted or social media! I always take a day off in a week when no one can disturb me of enjoying my meal, my sleep time or even a walk around neigborhood. Thanks for reminding! This is such a personal post, thank you so much for sharing it! I know how hard it can be to go back to normal. I think we're all once in a while facing these problems. And the most important thing is to keep moving without loosing ourselves. There are a lot of different ways to improve our mental health. For me personally jogging does wonders, it helps me to overcome all the struggles and keep going. Good food and your favourite hobby - are the key to a good mental health too. Thank you so much for this post. Having a good mind, body and soul balance is so important! I can definitely relate to this post. At one point I got so stressed that, my mind was always spinning and never got rest. I then began to meditate. This helps me sooo much! Meditation gives me the opportunity to relax my mind, and jut be still. Something I am almost never able to do. You shared some really great tips for dealing with mental health! One that I need to start doing more is going offline. I'm on my phone every day and it can get exhausting keeping up with social networks. Exercise definitely works for me! I'm glad you brought up mental health as that is something that is still not widely talked about and sometimes even a taboo. If it doesn't show on the outside, surely it cannot be an issue? Well, having had quite a few issues of my own and hitting that famous wall I know it's not just "in your brain" and as easy as "man up, get over it". When I was at my worst, even getting out of bed was a task too hard to fulfill. Years later and with lots of life experience upon that I now know when my body sends me signals that everything's not ok and that I need to slow down and take time for myself. Lately I did that by going on vacation for a week and also during that vacation disconnecting myself from social media. Best week I've had for years. My brain, mind, soul and body got to rest, plus I got a nice tan as a bonus. It's ever so important we talk as much about taking care of ourselves mentally, as we do physically, as they go hand in hand. I really enjoyed reading this post. I feel like we don't address mental health enough in our community. And it's not something we need to just consider when the bigger issues arise. Everyday things that we can all do regularly are the best way to keep our state of mind in check. Thanks for taking the time to share this - and reduce remedy is one of my fav natural products. Great choice!